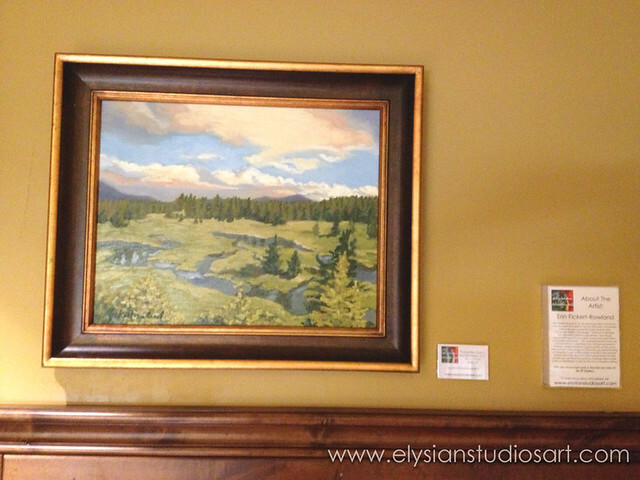 I am very excited to announce that my original art is now showing and for sale at Grand Lodge on Peak 7 in Breckenridge, Colorado! This is a luxurious, family friendly ski in/ski out resort located right at the base of Peak 7 in the Breckenridge Ski Resort. Owned and operated by a local family company, the staff and amenities will make you feel like you are right at home! 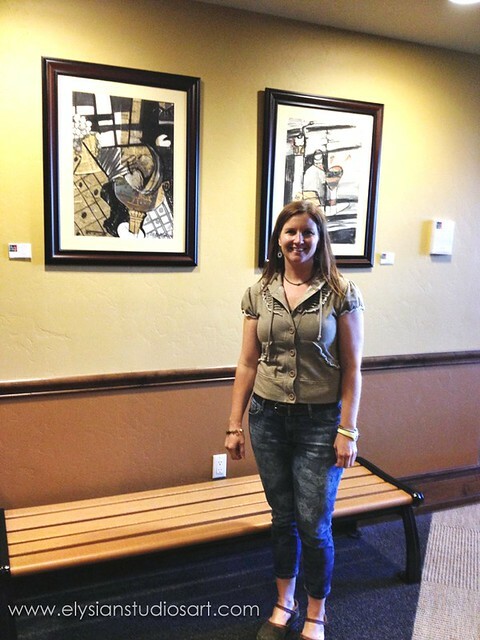 Currently, I have three pieces on display and for sale at the resort. The first is Cucumber Gulch, Breckenridge, CO , a lovely little oil painting of a local landscape. 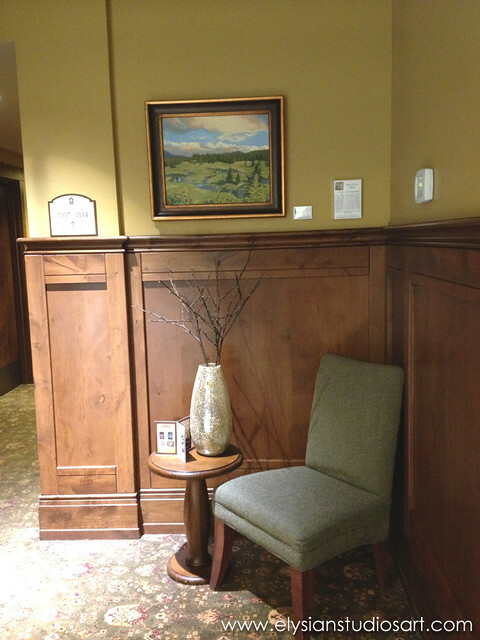 The artwork is located immediately off the lobby (seen in photo above), near the guest library. I also have two original abstract collages showing, which are located in the breezeway by the ski lockers in the hallway to the newly expanded building. Their will be concierge service and a small ski shop for guests located here. I couldn't be more excited to have this opportunity, and I'm amazed at the encouragement and response I have received, especially by many who are planning trips to Breckenridge in the near future! In fact, Peg of Living Snapshots Photography already stopped by to see my work, and then made this great little video for me! 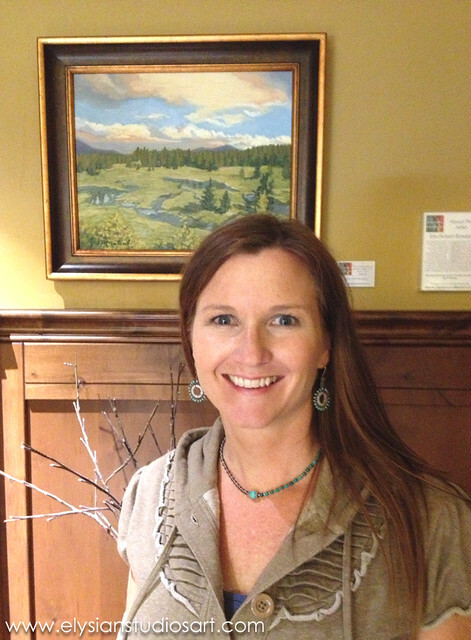 The painting you see in Peg's video has sold, and Cucumber Gulch is the current piece available. I highly recommend staying at Grand Lodge at Peak 7 anytime you are in the Breckenridge, CO area! Thank you so much, Michele! I have a special place in my heart for these three pieces, so it is nice to have them somewhere others can enjoy them! Here is to finding many more spots to share your work this year! This a a great start! 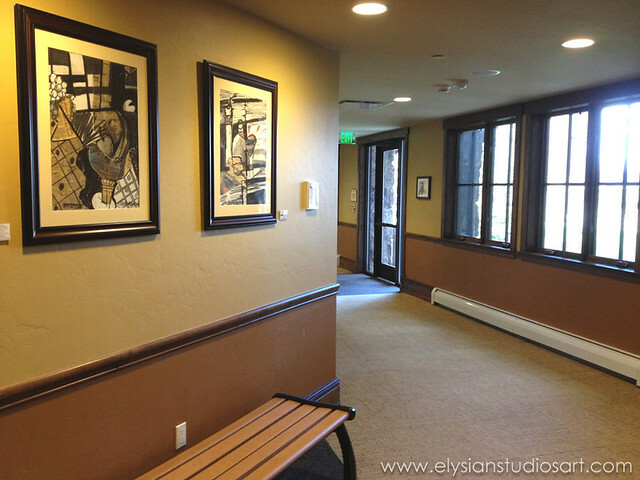 The lodge seems warm and inviting and a perfect home for your paintings. I wish you every possible success with this direction.